Professional Air Duct Cleaning Houston, Air Vent Cleaning | Call 866-599-5992 | A+ Rated. Carpet Cleaning Houston and Water Restoration in the Houston Metro. A+ Rated, Excellent Reviews. 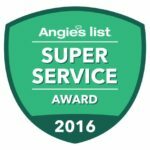 We are proud to be the most trusted company in Houston for Air Duct Cleaning, Carpet Cleaning, Upholstery Cleaning and Tile & Grout. 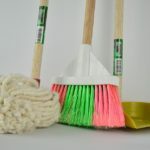 Categories: blog, Uncategorized - Tags: Air duct cleaning, air duct cleaning Houston, air duct cleaning in Houston, air filters, dryer vent cleaning, duct cleaning, duct cleaning Houston, duct cleaning in Houston, HVAC, indoor air quality, Mold, Mold Remediation, residential duct cleaning, residential duct cleaning in Houston. 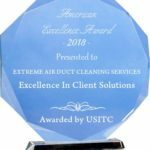 Categories: blog, Uncategorized - Tags: Air duct cleaning, air duct cleaning Houston, air duct cleaning in Houston, duct cleaning, duct cleaning Houston, duct cleaning in Houston, Houston duct cleaning, Houston residential duct cleaning, residential duct cleaning, residential duct cleaning in Houston. 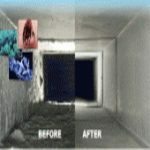 I have done business with Extreme Air Duct Cleaning And Restoration Services for over 5 years. They have cleaned my Air Ducts, Carpets and Tiles every year. The level of customer service, quality of work and price has always been outstanding. Early arrival, courteous, explained the work prompt, and professional. Had my air ducts and carpets cleaned by Extreme Air Duct Cleaning And Restoration Services. Me and my husband were very pleased with the results I got. My a/c works kicks in better in our rooms and our carpets throughout our house is so much nicer. The tech Gerry that came out did a great job and very detailed about the work he was going to do. I am very happy with the results. They were on time, offered me options and started to work at once. Very upfront and gave me descents that helped out. Very well. They showed up early, worked quickly and thoroughly. It is obvious they care about doing a good job. Professional, on time, friendly, and clean. Explained everything they were going to do. Got the job done right. The service was fast, friendly, and complete in an hour. The spots I had are up. The price was reasonable. I will definitely recommend giving them a call. We had Extreme Air Duct Cleaning And Restoration Services clean our carpets, area rugs, tile, grout and furniture and could not have been more pleased with the results. They were extremely professional and their prices were very competitive with the other estimates we received. After accepting their bid they showed up the very next morning to do the cleaning and took special care with all of our belongings while moving them to clean. In addition, they even were able to install new ducts for our A/C system because the old system was beyond cleaning because of all the mold and dust. I would recommend them to anyone who needs to have their home cleaned! Very professional technicians. They arrived on time and finished quicker than I had anticipated. I will be calling them in the future and recommending them to all my friends and family. Sunny the technician was on time, knowledgeable and thorough. Professionally performed. The tech's came out and did a great job on my air duct. The service was outstanding. The technicians were amiable, knowledgeable and efficient. I feel the difference in my air quality immediately. We had very bad allergies and was recommended by a friend to have the duct cleaned at the house. Extreme Air Duct Cleaning and Restoration Services cleaned my Air Duct a few days ago. They also had the bedroom's carpet steam cleaned. The crew really knows what they are doing. They were very professional. I recommend them to all my friends. Teddy the technician that came out was on time. We agreed on the price. Before photos were taken, he had a written estimate. Work was performed and completed on time. The tech's did a great job on cleaning my air ducts and cleaning my carpet. Excellent performance. Very professionalism. I live in NC but own rental property in Missouri City, I was seeking to have my air ducts cleaned professionally from a trusted and responsible company. I sought out many companies for comparison. After speaking to many different techs from different companies, I hired Extreme Air Duct Cleaning and Restoration Service due to the great pricing and the professionalism of not only the company but the tech. I will NOT use any other company in the Missouri City area to clean my air ducts in my rental properties. GREAT service and GREAT prices. The cleaning technicians, who came to our house, were extremely courteous and professional. They very quickly spotted and explained the issues and offered more than reasonably priced solutions. I would certainly hire them again and am glad to be able to refer them to other people. We called extreme to clean our ducts. What they found was 24 years of build up that included an inch and a half of mold. Sonny was the lead tech who took care of us, and frankly I couldn't have asked for a better person to come out. They cleaned after they were done. Highly recommend their services. I've use this company to clean the air duct at my house. I was very impressed by the knowledgeable technician that arrived for the service. Robert took the time to explain how they clean the ducts and recommended a UV system for my allergies. The posses was about 2 hours and I will defiantly use this company in the future. They did a wonderful job cleaning the carpet in my home. The carpet was heavily soiled and now it looks like new. Definitely will be using them again. This is the third year that I'm using Extreme. I must say that they are always professional, on time and has cleaned my ivory carpet spotless. 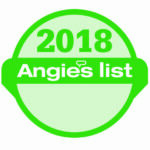 I bought a deal from Angie's List for dryer vent cleaning. I got the appointment easily, my dryer vents out under my house .They did come out and got the job done in about 30 minutes. They were professional, nice and got the job done. The company contacted me right away to schedule an appointment during one of my preferred times that I provided. I requested a 45 mins call before arrival and Sam did just that. Sam was friendly, funny, and very helpful. He went over exactly how and what they will be cleaning. Sam provided comments on conditions of the systems and air ducts. It turned out that the dryer vent, which runs through the attic to the roof, was pretty much completely clogged. Sam recommended a full service cleaning of the dryer vent for an additional fee. He was not pushy about it and explained in detail what the additional service entailed. I'm glad I got it done as the dryer vent really needed it. Sam and his co-worker were thorough in completing the work and did not rush through the job. I usually don't write reviews for job done fine. However, this was a job exceptionally done. I will be using these guys again, for sure. The guy from extreme came over today to clean my carpets and tiles. Sam and Jaime were the technicians that completed the work. I must say that I didn't expect everything to come out from the carpet and I was told by the Sam that most likely some of the spot are a permanent stains. They did try their best to remove the spot and most of them did came out. Jaime said that the spots left on the carpet are discoloration from the dog's urine. I gave them 5 stars because they showed up on time, worked really hard on my carpets and bathroom floor tiles, and the price I paid was less then what I was quoted over the phone by KIWI and Sears. I think that I will use them again next year and I would recommend to give them a try. Went well. Service provider called before showing and appeared on time. They came about 5 minutes before the scheduled time. We went over all the order I've made over from the phone. Cleaned my air ducts, my dryer vent, my leather sofa, my living room area rug, my kitchen tile and the bedroom carpets. I've decided to add a carpet protector to the service. Over all they were very professional, efficient and quick. They finished everything in about four hours. I will definitely keep using them on a regular basis. Was having respiratory issues due to mold and dust in the ducts of the condo I just moved into. Called around and got several estimates and checked ratings. Extreme had great rating and the best price too! When I called they were very knowledgeable about the products and service procedures. Sam made sure that he was able to do the job right before accepting the job. They came the next day, did the work on site and by this morning my chest has already cleared and I feel so much better. Definitely a company that I will call back and use for other services. Trustworthy and fair! Great company to work with. Sunny, the main technician was friendly and informative. My air ducts look awesome from the inside out, and the air smells great. My allergies have lessened as well. They were kind enough to include a dryer vent cleaning the same day, without adding to the price of the air duct bacterial deep clean. I will confidently recommend this company to anyone for any deep cleaning service. The tech. was on time, and did a great job. I had my dryer vent cleaned out. He gave me knowledge that I didn't know prior to this being done. I asked for them to come out same day, and they did exactly that. I was wanting a basic clean, however he got me for a full clean, which is okay, I will have to do a basic from here on out. Great Job, and thanks for coming on short notice! I'm a single mom and when I couldn't figure out why my daughter has severe allergies, after trying everything else I've decided to have the air ducts cleaned. Apparently it works pretty good, you could really tell the difference on the service was done. The technician recommended installing an ultraviolet system, after reading about it online I've decided to go with it. The girl that answered the phone was really nice and polite. The tech was really professional and very knowledgeable. He explained entire process of the cleaning prior to starting and came and ask me twice during the work if there's anything else they can do for us. I strongly recommend this company. Yesterday, Sam and his crew came to my house to steam clean the carpets and clean out my air duct system. I got the recommendation from my neighbor. I am a worrier. I worry about my son's health and air quality. I am no longer worried. Sam was a great teacher and showed me everthing and taught me a lot about my system. I researched for days and this company had the best reviews and the most fair prices. I will continue to use their services in the future and I highly recommend them. Sam came out with his helper and did a great job explaining the process of air duct cleaning. They cleaned the ducts and the dryer vent. Very friendly and knowledgeable. Did quick and clean job but also very detailed. The owner spoke to me personally! Took the time to explain everything to me. Very patiently! Had them come to steam clean my carpet in my apartment! Unbelievable professional behavior! They were very focused on the many stains that I had! Would not quit till they were gone! My carpet now looks new! Far beyond any company I had dealt with before! Will never call any one else!!!! Billy and Chris did a fantastic job today and were very friendly and knowledgeable. They explained everything thoroughly and were very honest. 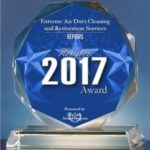 We would definitely use Extreme Air Duct Cleaning and Restoration again and will be referring them to everyone in need of services! This was my first time using Extreme and I couldn't be happier. They were very well priced, showed up exactly on time, explained the service they were going to perform in detail (even showed me pictures of before and after), and vacuumed the floors before they left! I will absolutely be using Extreme again! Sam came to my house on time, he performed an incredible job pulling up years of dirt and animal smell. I'm very happy with the job they did and would recommend them to anyone looking for a quality company. We had looked into 'rug doctor' but this was a MUCH better value for what we were looking for! It's been a week since my carpet was cleaned and my carpet still looks wonderful. Sam called prior to arriving, he arrived on time along with another technician, they were efficient with handling my furniture and they did a good job. They did an awesome job! Called them to inspect my ducts after being in new home for 2 years.They found start of bacteria and gave us several choices on handling issue. Sunny G. was so courteous, caring and wanted to make sure we understand the options to clean my ducts before starting the job. He gave me a fair price and was honest and knowledgeable about the products and service procedures. Will be using in the future. 05/10/2015. Extreme did a grate job today! We have all air duct cleanings and UV light installation services. The guy, Sunny was super nice and knowledgeable on what he is doing. He even took a time to give me an explanation how the air duct machine is working so that I can understand good way to maintain it (before I have no idea about it). Also we have two vents where birds have nested over years at the end outside of our home. They spent over time to make sure to clean up all the branches (the birds get all pretty deep inside). Easy to schedule and reach when needed! I called to have my yearly Air duct cleaning service. They call and let me know they were on there way. Explained the process to me. Everything went smoothly. Asked me about other add on services I might be interested in, but were not pushy on selling them. Overall did good work and verry polite. They came highly recommended by my plumber and they did a wonderful job with our carpets and the Dryer vent that took for ever to dry. Now my carpets look and smell good and the dryer takes just one load to dry. I had called them for cleaning my dryer vent. Sunny call me 30 minutes before arrival. Sunny and Anastacio were on time. They were to the point. They looked at the vent pipe and explained in detail what the issues are and gave their recommendations very patiently. Their pricing was very good too. They took pictures of the vent pipe that was clogged with lint so that I could send that to the landlord. They took their time and made sure the job was thorough. Overall, excellent service ! Would call Extreme Cleaning & Restoration Services anytime without hesitation ! Just had my Dryer Vent cleaned out the technician was very Knowledgeable he recommended to have a full service clean done on my vent which cost a little more but was well worth it. He explained to me that I possibly had a birds nest in the vent. They cleaned the dryer it out from the inside and then went outside and cleaned it he also put me a plastic cage around the hole outside to prevent any further problems, his name was Sunny definitely ask for him when you call you will be pleased with your overall experience with this company. Our house was In need of treatment for bacteria! Sunny was great explained the whole process. He was very informative and thoughtful especially since im pregnant during the treatment so I wouldnt be exposed to the fumes. I will definitely use them from now on for matience from now on! He even checked my unit to make sure everything was sealed properly and fixed small iissues with the system with no charge!! Great service! Extreme Air Duct cleaning was great! They contacted me within a few hours of my purchase on Angie's List to set up an appointment. They were on time, worked quickly and were very professional. There were suggestions/recommendations as to some other services that would be helpful, but absolutely no hard sell. Overall, a great experience! This is my first review. I called Extreme Air Duct Cleaning And Restoration Services to clean my air ducts and a month later I called them again to clean my carpet. I was very satisfied with the price and the service...so much so that I tried to leave them a hefty tip. Sam told me that he would prefer I keep the tip money and instead leave a nice review. So, here it is Sam! Thank you so much for your excellent service. I highly recommend this company. My carpet no longer smells like dog and my daughter's allergies have improved. We will call again! What an awesome company! I've recently called them after discovering that my home was infected with mold. So scary to find out such a problem. It's a very scary thing to have mold in your air ducts because you can breathe in the mold and get sick from it if left untreated. Sam, the technician, explained everything to me from the growth of mold to how the AC units work. He was very knowledgeable, polite, and honest. After a through inspection, he explained what treatments my AC unit needed. The quote came out to be cheaper than what Sears have quoted me for. Sam and his helper cleaned our vents, treated the mold, and installed an ultra violet system in a timely matter. I'm going to recommend them to all my friends and family! Thank you, Sam! Crew cleaned up water in house after water leak. They were very professional, polite, and experienced. I highly recommend their restoration services. After noticing mold/mildew coming out of a bathroom vent, we called Extreme. Sunny and his technician took care of us! He took pictures to show me what was going on in our ducts, and explained our options in a clear manner. Ask for Sunny! He is very knowledgeable, and cares about his customers. Service was completed promptly and completely finished within two hours. very professional crew provided explanation of cleaning progress. They were professional, helpful, and took care of everything that was needed. It was a great experience. Sam provided great Customer Service, fully explained all of the parts of the system, why each process was necessary, and worked along side-of another contractor who was also at my house. Great service and hard working guy! Mr. Sunny and crew did a great JOB! Very professional. highly recommendable! Had Sam clean my air ducts and my dryer vent. He took the time to explain everything to me, showed me pictures before the cleaning and after and you can really see the deference. I will defiantly recommend them. Highly recommend them. Great service, knowledgeable and friendly technicians. Best carpet cleaning experience I've ever had. Sam and the team were very professional and knowledgeable. Great price and super customer service. 10 year old carpet almost looks like new! Very satisfied and definitely returning. Extreme did a great job at my house this past weekend. I have a 1 story house with 13 vents. I had all air ducts cleaned as well as a dryer vent cleaning (check Angie's List for a good deal). Sam was very informative and explained the whole process. He explained the possibility of bacteria (an extra cost to me to remove) in my system before opening it up. Luckily, after checking, he was honest in telling me there was no bacteria, proving to me that this company is not out to take your money. Sam also repaired my dryer vent duct where it connected to my roof. I only had to pay a small amount to have him fix it. He went out of his way to do that for me. The service was fast and so far I feel like a great job was done. 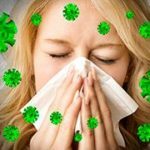 If your allergies are bad, look into getting your air ducts cleaned! Very satisfied with Sunny and his work. It was an enjoyable cleaning processes! Wow, I am so impressed with this company. They came and cleaned my air ducts today, and their customer service is outstanding. They did an exceptional job cleaning the ducts. I can already feel the difference when I breath. Not only that, but my cat had just peed on my brand new mattress before they came and they steam cleaned my mattress for free. They are kind and professional. I could not recommend them more! Best Air Duct Cleaning Company in Town! Just moved in to a new home recently and needed my air duct cleaned. Contacted Extreme because a friend recommended. Ben and Aliya showed up on time, didn't try to up sale me any unnecessary extra services and completed the work within an hour. They even got my email to remind me next year when it's time to clean the ducts again. No wonder why they have such great reviews. When I first moved into my new home, the air just wasn't right; my eyes burned, my throat itches, I was sneezing and I just wasn't breathing well. When I called Extreme they really came through for me. 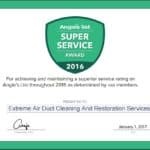 They were the best price compared to some other duct cleaning services and their expertise really changed the air quality in my home. Now, not only can I breathe freely without sneezing, itching or scratching, but the house actually smells good and I'm finally excited to have people over without worrying "does this place smell 'off'?" Thanks so much to the professional, courteous and efficient team at Extreme. They really changed the way we live, for the better. We are selling our home this month and wanted to have the carpets freshened up for our showings. The crew arrived, they were kind, very professional, and Sunny was very knowledgeable about the work they were doing. My carpets look great! I highly recommend Sunny and the crew for your carpet cleaning needs. I had Sunny and Jesus from Extreme Air Duct Cleaning come today to clean my ducts and dryer vent. They were SUPER! Sunny took pictures of what he found; but that was not good enough for him he wanted to actually show me so he walked me through the work scene. When they were all done (and it took hours) he showed me "after" photos and again walked me through the scene. These employees and this company gives 110% and I know value when I see it! Extreme is the real deal! They will be coming back to my house next year to service my ducts! Very straightforward, competent and low pressure company to deal with. After two HVAC companies gave me differing opinions of an issue I was having with my ac unit, including replacing the entire system, I got an honest answer about a problem with my duct work from this company. The problem was resolved saving me a great deal lot of money. I highly recommend this company. The job took 2 1/2 hours to complete and they were very thorough and complete. They were on time, professional and friendly. Overall, a painless and effective experience that was fairly priced. Team showed when promised after phone call giving 30 minute notice. They were clean and professional. Since I had two units across 3 floors, the team lead ordered second team to come and help expedite job. All done within 2 hours. Soon after, manager sent email asking for feedback. My sense is that this is well managed company that is on top of their customer service game. Definitely would hire again. Description of work: Cleaned AC vents, treat with bactericide, install UV lights. Cleaning options were explained over the phone and again when techs arrived. Vent hadn’t been cleaned in several years and needed deep cleaning. Cost was more than I wanted to pay but was the amount quoted. I initially called on a weekend and got much higher quote than when I called back on weekday. Overall they were on time and did good work. Dryer now dries in a reasonable amount of time. They also inspected air ducts but said they didn’t need to be cleaned yet. Does anyone in your home have allergies, asthma, or other respiratory problems? Does anyone in your family suffer from headaches, nasal congestion, or other sinus problems at night or in the morning? Is there a smoker in the house? Do you have dogs, cats or other pets in your home? Do you notice "musty" or "stale" odors when the furnace or air conditioner runs? Do you notice dust on your furniture shortly after cleaning? Does it seem like there is not enough airflow coming from your vents? Is your furnace equipped only with a standard throwaway fiberglass filter? If you answered yes to two or more of the following questions then click here to schedule services And one of our expert Air Duct Cleaning Technicians will visit your home. Let Extreme help your family breathe easier, feel better and save money!